Malaga (AGP) is one of Spain's busiest airports. Fact One: The real reason behind Málaga Airport’s current location is the weather. Thanks to two rainy days, the first planes couldn’t land in the area originally destined for the airport. Read more. Fact Two: Málaga Airport is Spain’s fourth most important airport after Madrid, Barcelona and Palma de Mallorca. 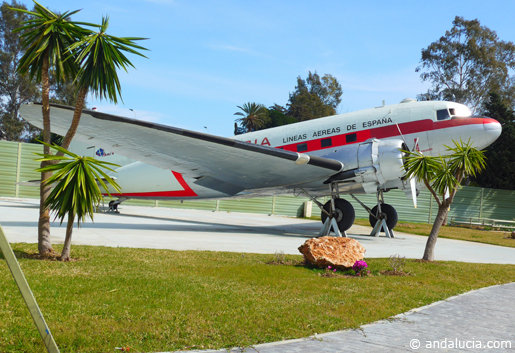 Fact Three: The Málaga Airport’s original terminal (and the tiny air traffic control “tower”) is still intact and just waiting for your visit! Just go to the airport museum and you are in for a treat. Fact Four: In 1936 Málaga Airport became a military airbase for use during the Spanish Civil War. Today the airbase is located to the west of the Málaga Airport but can still use the airport runways. Fact Five: Spanish Queen Sophia and King Juan Carlos inaugurated the spectacular new Terminal 3 on March 15, 2010. Fact Six: AGP - The three letter IATA (International Air Transport Association) Airport code AGP for Malaga airport appears unrelated to the city name. Due to the large number of codes issued and perhaps a reluctance to assign a negative word in Spanish MAL was assigned to Mangole Island Airport, Maluku, Indonesia, and the 4th and 5th letters of Malaga were chosen plus an available letter working backwards from the alphabet. Following the official rename of the airport to “Malaga-Costa del Sol” in 2011 AENA has requested the recoding of the airport to SOL (which is unallocated). Code changes are rare but not unprecedented JFK airport was IDL for Idlewild Airport. Fact Seven: Concorde visited Malaga airport for the first time on 7th December 1984. British airways brought celebrities for a charity golf tournament at Los Monteros Golf. The second visit was by both British Airways and Air France who brought golf enthusiasts to the Ryder Cup at Valderrama on the 23 to 29 September 1997.